It’s been a rough year for Nigeria. From the hike in the price of the dollar to increase in the cost of food and living, there have been a lot of reasons to feel discouraged about the giant of Africa. Many have become fixated on big-picture worries and so, take for granted all the little facets of life that deserve appreciation. 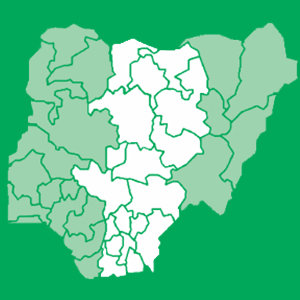 Believe it or not, Nigeria is still a pretty great place to live and to bring a major boost to your overall happiness. Jumia Travel shares some things you can be grateful for if you live in Nigeria. Nigerian jollof rice is probably one of the tastiest meals there is in the whole continent of Africa, especially when paired with grilled or fried chicken and plantains. Those who live in Nigeria have to be grateful for the meal, especially as you canget decent Jollof pretty much anywhere in Nigeria. Despite the recession, the country has generally experienced better access to the internet as several companies providing internet services have emerged and network providers like MTN has even further reduced the cost of acquiring internet/data and so a lot more of the residents in Nigeria have access to the internet. Basically, almost anyone can now learn about anything that piques their interest without having to pay for training or visit a library to find a book or magazine about it. From good music to fantastic Nollywood movies, when it comes to entertainment, Nigeria has good representation. You can hardly get bored in that aspect. Foreign artistes have done more collaboration with local Nigerian artistes as regards music and a lot of Nigerian movie directors and producers have invested more in movies to ensure they are of higher quality and can not only compete with movies from other parts of the world, but also gain accolade as well. Love is one of man’s core needs and no matter how much people try to refute the fact, they find it being the case. There are so many more places to meet people as well as avenues to meet them. More bars, restaurants and lounges crop up around the country each day, where residents can meet people. Again, online dating has made everything easier as there are more dating sites to meet Nigerians and even get to know them before actually taking them out and spending money on a date. Basically, dating in Nigeria is so much easier now. Nigeria is a beautiful country and has so many tourist attractions and peculiar environs to prove it. Residents get to enjoy several small and free pleasure of life, whether they are actually visiting some of these exotic sites or just having a regular day. From as little as watching the sunrise at Elegushi seaside to taking a relaxing walk at Agodi gardens, and swimming at Oguta Lake, there are so many pleasures within the reach of the residents.